Terrance James, Assistant Commissioner of Police with responsibility for the Operations Directorate has accepted the offer to become the new head of prison services in St. Kitts and Nevis. BASSETERRE, St. Kitts –- Plans to restructure the Federation’s prison services, build a new prison facility and appoint a new head of prison services in St. Kitts and Nevis were announced by Prime Minister and Minister of National Security, Dr. the Honourable Timothy Harris, during his Jan. 16 monthly press conference held at the Parliamentary Lounge. 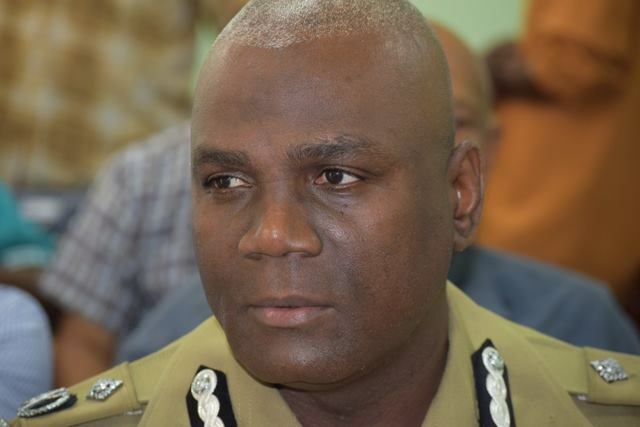 Assistant Commissioner of Police with responsibility for the Operations Directorate, Terrance James, has accepted the offer to become the new head of prison services in St. Kitts and Nevis. Prime Minister Harris stated said ACP James appointment falls in line with a new management structure being pursued for prison services in the Federation, which includes the creation of the new post of Commissioner of Corrections. Dr. Harris noted that the Commissioner of Corrections will be afforded the salary and privileges befitting the post of a Commissioner. “A modern new facility, in keeping with international standards, is to be built with better spatial provisions for juveniles, for persons on remand, a halfway house and specific facilities for rehabilitation and programmes for reintegration into society,” Dr. Harris explained. The new prison facility will also accommodate onsite health and social services.